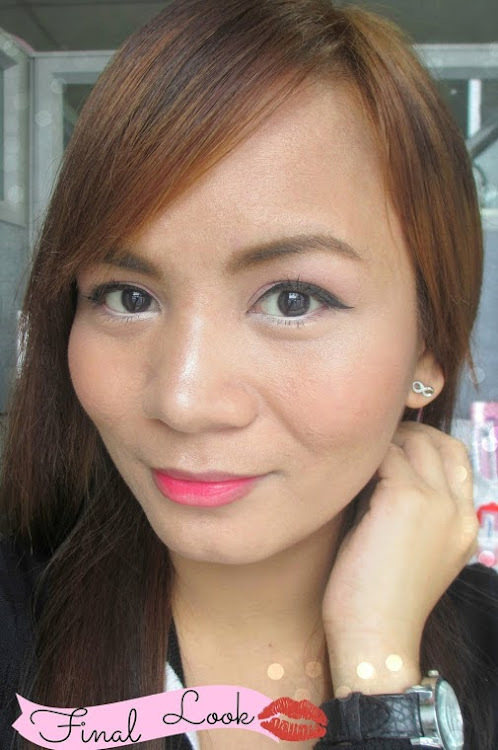 Ever since I had acne break-out, one of the challenges that occurred was finding the right cosmetics for me. I don't want any further damage to my skin so I always make sure the products I use are not harsh. And since I've mentioned flawed, I also have to make sure the products are suitable for my skin type and condition, a product that will flawlessly conceal my imperfections. How many of you swear by Japanese cosmetics? If you're not yet a fan, here are some products that I want to share today. Jean from ShadzOnlineShop is one of the sponsors who always gives me unique yet very effective products. She introduced me to the Tokyo Love Soap a couple of months back (which I loved). 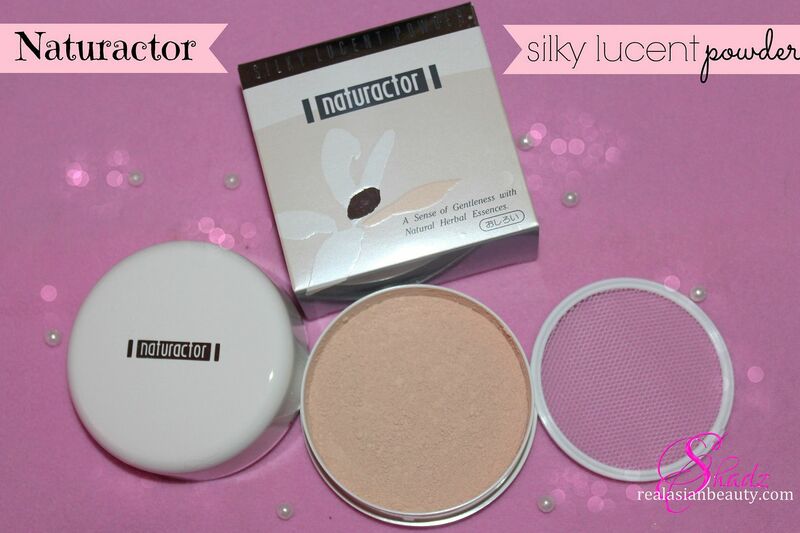 She messaged me again and told me she'll send over some Naturactor products for review. I had no clue about this product before but since I know her products are good, I just went ahead and gave them a try. This is one of the famous Naturactor products. Make-up artists and professional use this product and I honestly understand why it's so famous. Anyway, as you can see in the photo, RED MARKS are visible on my left cheek and on the forehead. 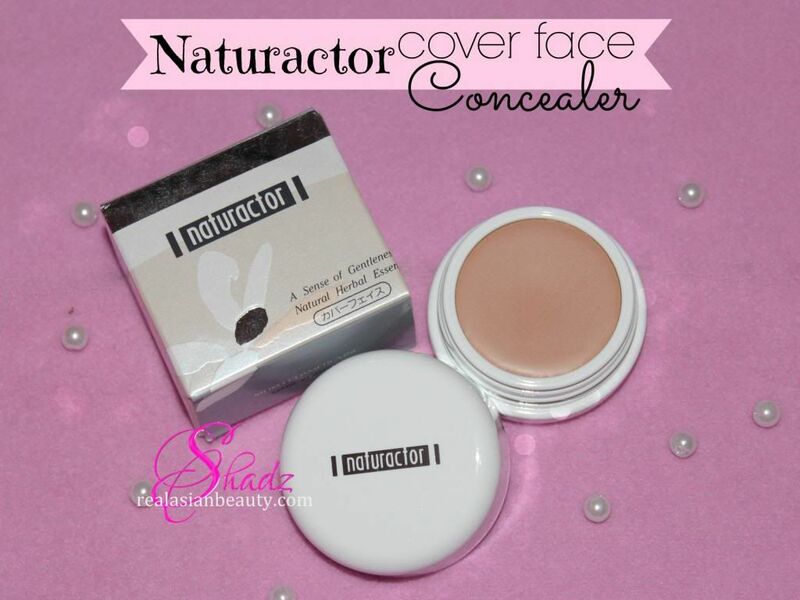 After applying Naturactor Cover Face concealer, you can see the improvement to the right of the photo. 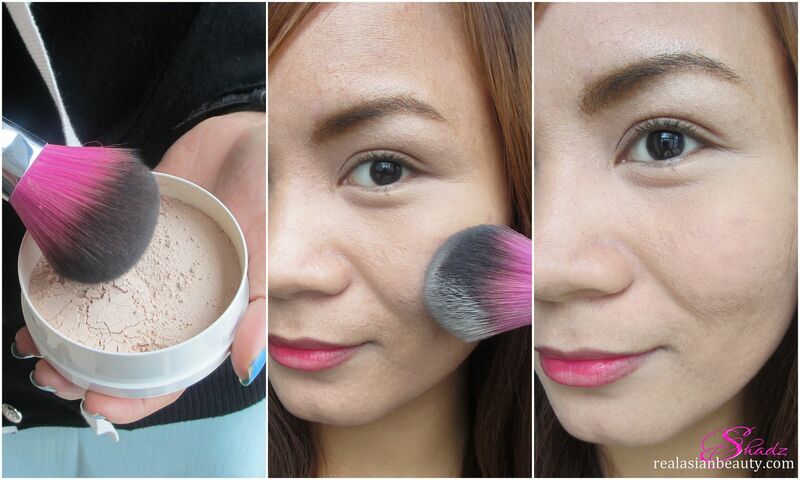 Cover my acne scars like magic! Sincerely speaking, this concealer is really good! 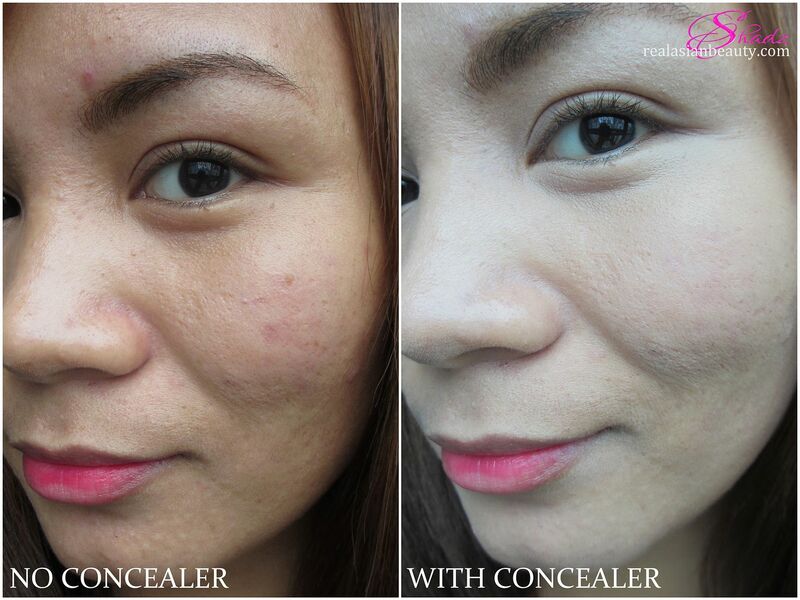 Before this, I never thought there would be any concealer to do wonders on my flawed and scarred skin. 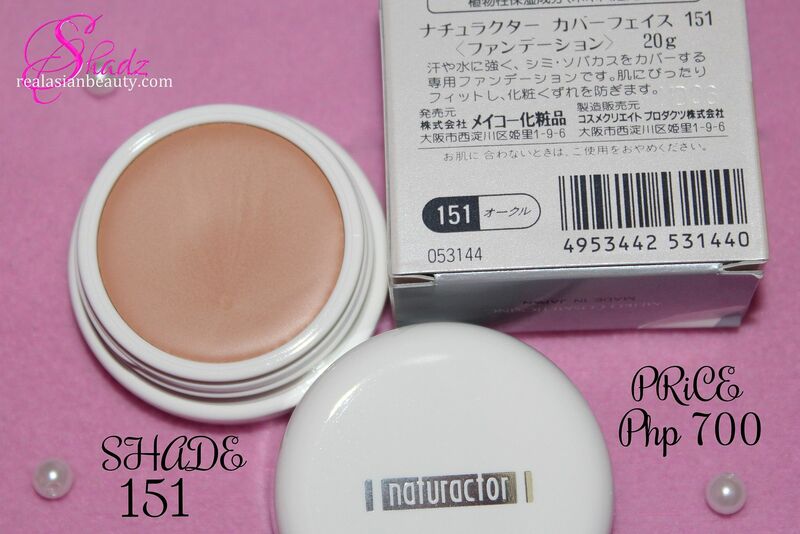 I think I've found my match and I'm sticking to this concealer until I find another one that can surpass what it does! I'm really skeptical when it comes to powders because through my acne battle, I've noticed that powder foundations are the biggest factor of my acne breakout. The formula always tends to be really harsh or itchy or just downright irritating. 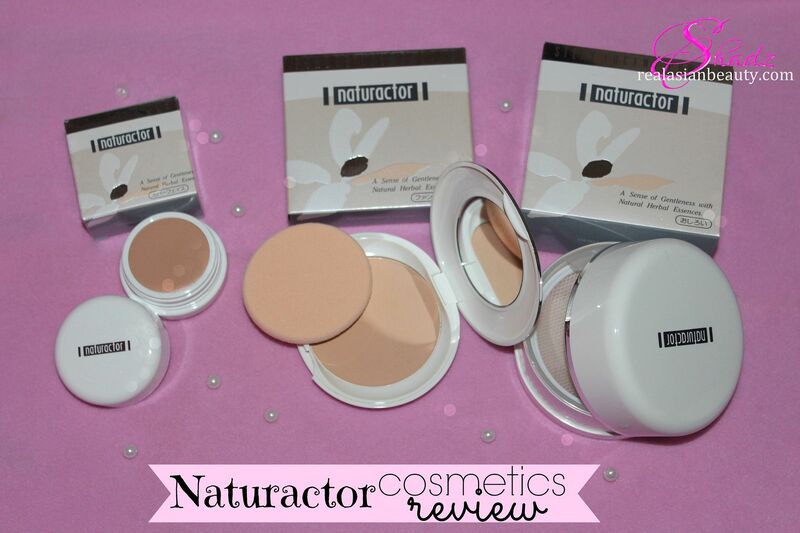 I tried Naturactor's Powder Foundation and was quite impressed with it. Well not really impressed because I have my first love, MAC's Studio Fix Powder Foundation. But for something that's half the price as MAC yet performs quite the same job, one can not really complain a lot. 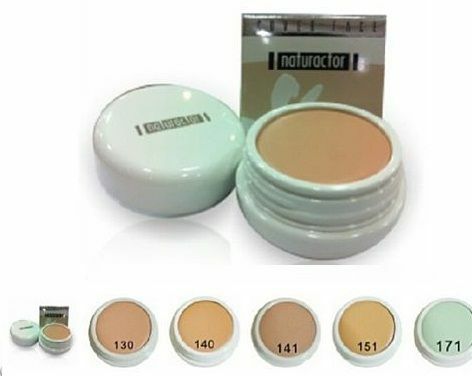 Since MAC is too pricey for me, I think I'll switch to Naturactor Powder Foundation as my everyday powder. I like that the coverage is light and doesn't make my skin look too heavy or cakey. I just didn't like that it doesn't last too long and made my skin a bit oily by mid-day. I think I chose a shade that's too light for my skin tone so I might buy another one in a shade darker. 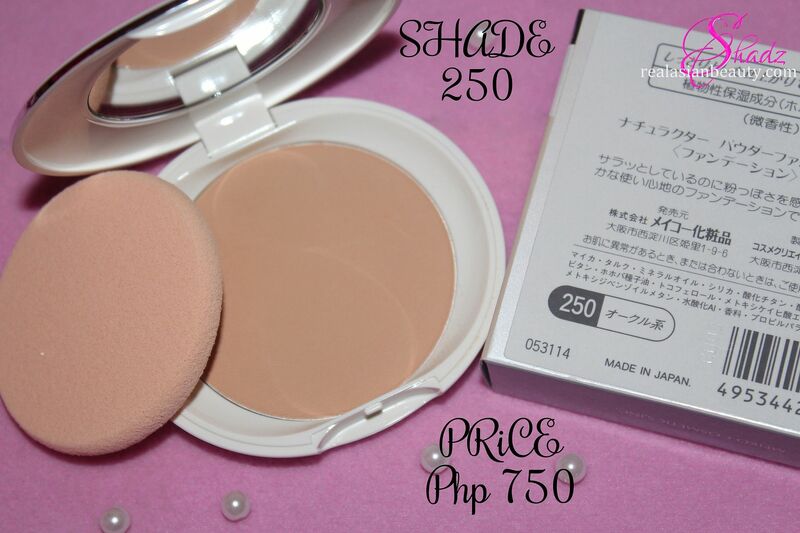 But if you're looking for a good everyday powder, this one will surely do the job! 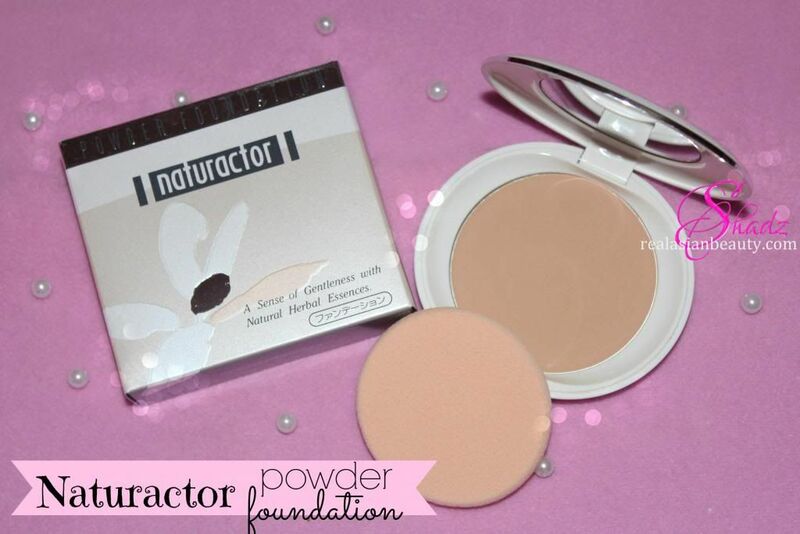 Naturactor's Silky Lucent Powder is a good finishing powder because it sets the foundation for a long-lasting make-up. It provides silky finish that reduces shine and the appearance of pores. The best thing is that it eliminates the grease and leaving you with a smooth and flawless look. This is also my favorite because it leaves my skin looking smooth and shine-free! I really dislike the feeling of greasy skin after applying BB cream or liquid foundation. 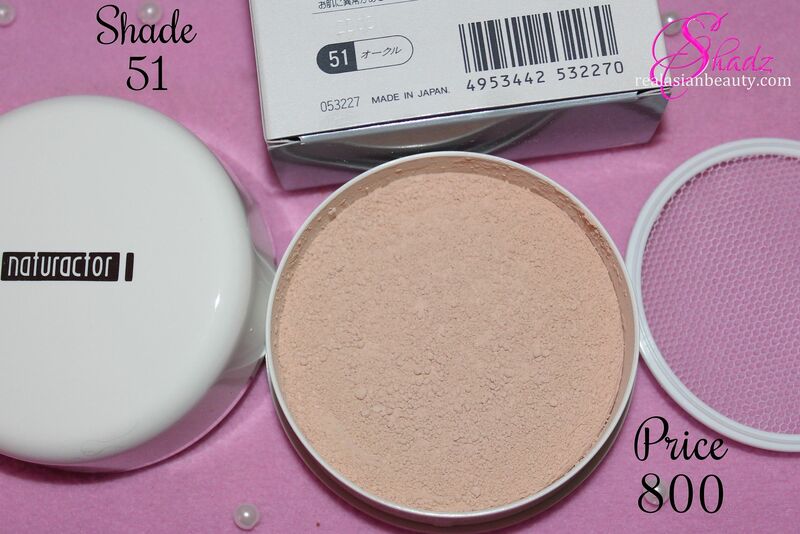 This powder does the trick! I also like that the powder is really fine, therefore it gets into every area of my skin allowing smooth and even coverage. If there's one thing that I don't like, it's definitely the packaging. There's no stopper or any lid to prevent the powder from spilling. I'm afraid I might carelessly turn on the fan while using this powder therefore putting the product to waste. 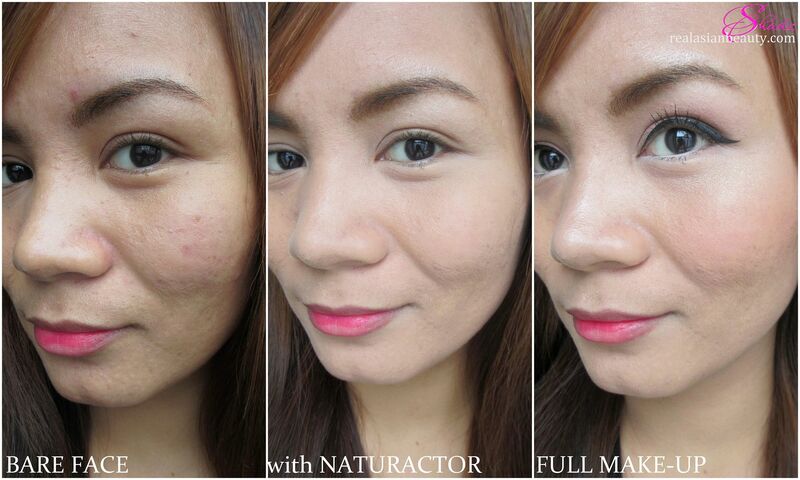 For a closer look on how my skin drastically improved just by using the 3 Naturactor products, here are photos of my BARE FACE, after using NATURACTOR and after applying my MAKE-UP. What do you think? 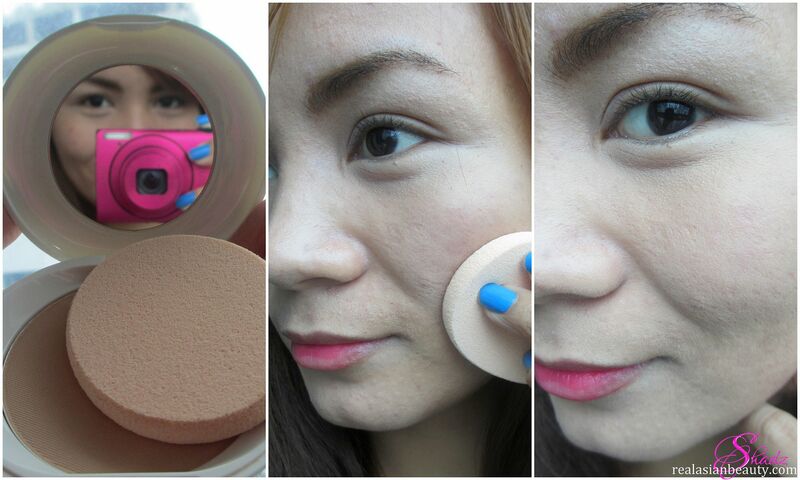 I think they do an amazing job, most especially the Cover Face Concealer, it really works like Magic! I'm so glad I was introduced to these products! Some of you commented on my previous post about how good my skin looked in the photos, here is my answer. If you want to try authentic Naturactor products, be sure to visit and like ShadzOnlineShop on Facebook!